While the financial world, Wall street and the stockmarkets are falling apart, in a quiet corner of the US, a small church community are thinking of the less fortunate of our global brothers and sisters. Driven by love rather than greed they are planning to help the poorest of the poor, thousands of miles away, in Northern Malawi,to have clean water to drink. What a lovely message of hope. Hello from Fremont, Wisconsin in the USA. I belong to a small country church in a small village and we are saving the little aluminium rings from soda cans for a place that families can stay at while one of their family members is in the hospital. Another member and I said that we would like to save the rest of the cans to build a well in another country. We have decided that Wells For Zoe is kind of what we are looking for. Tonight I have to appear before the church board to make a report. We have $1000.00 pledged so far and I’m sure that once we get the word out to our congregation the cans and money will be coming in. Just a note to let you know what is happening at our church. The meeting went very well and the church council approved our request to support Wells for Zoe. We will announce it at this Sunday service. We have received the $1000.00 and are starting a separate account at the bank so all the money that we collect will go into this fund. We decided that we will disperse the money quarterly with the first one just in time for Christmas. So that you may know our congregation a little ,you can go to our web site http://www.hopefremont.com and the churche’s email address is hopeucc@centurytel.net. We hope that we will make a difference in people’s lives. HAVANA: For Miladis Bouza, the global food crisis arrived two decades ago. Now, her efforts to climb out of it could serve as a model for people around the world struggling to feed their families. Bouza was a research biologist, living a solidly middle-class existence, when the collapse of the Soviet Union — and the halt of its subsidized food shipments to Cuba — effectively cut her government salary to US$3 a month. Suddenly, a trip to the grocery store was out of reach. 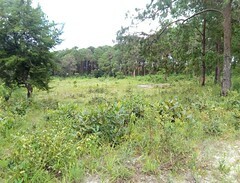 So she quit her job, and under a program championed by then-Defense Minister Raul Castro, asked the government for the right to farm an overgrown, half-acre lot near her Havana home. Now, her husband tends rows of tomatoes, sweet potatoes and spinach, while Bouza, 48, sells the produce at a stall on a busy street. Neighbors are happy with cheap vegetables fresh from the field. Bouza never lacks for fresh produce, and she pulls in between 2,000 to 5,000 pesos (US$100-250) a month — many times the average government salary of 408 pesos (US$19). “All that money is mine,” she said. “The only thing I have to buy is protein” — meat. From 1989-93, Cubans went from eating an average of 3,004 calories a day to only 2,323, according to the U.N. Food and Agriculture Organization, as shelves emptied of the Soviet goods that made up two-thirds of Cuba’s food. Today, they eat 3,547 calories a day — more than what the U.S. government recommends for American citizens. As it is, productivity is low at Cuba’s large, state-run farms where workers lack incentives. Government-supplied rations — mostly imported from the U.S. — provide such staples as rice, beans and cooking oil, but not fresh produce. Importers bring in only what central planners want, so the market doesn’t correct for gaps. And since most land is owned by the state, developers are not competing for the vacant lots that can become plots for vegetables. Still, experts say the basic idea behind urban farming has a lot of promise. And with fuel prices and food shortages causing unrest and hunger across the world, many say the Cuban model should spread. “There are certain issues where we think Cuba has a lot to teach the world. Urban agriculture is one of them,” said Beat Schmid, coordinator of Cuba programs for the charity Oxfam International. Other countries have experimented with urban farming — Cuba’s initial steps were modeled after a green belt surrounding Shanghai. But nowhere has urban farming been used so widely to transform the way a country feeds itself. Now that Raul Castro is president, many expect him to expand the program he began as an experiment in the early 1990s. One of the first plots he opened was the “organoponico” on Fifth Avenue and 44th Street in the ritzy Havana neighborhood of Miramar. The half-block farm — owned by a government agency — is surrounded by apartment buildings and houses, but also offices of foreign companies, a Spanish bank and the South African Embassy. Long troughs brim with arugula, spinach, radishes and basil, and few of the 20,000 square feet (1,850 square meters) are wasted. One technician tends compost that serves as natural fertilizer, while another handles natural protection from pests, surrounding delicate spinach shoots with strong-smelling celery to ward off insects. Such measures have ecological benefits but were born of necessity: Neither commercial fertilizer nor herbicide is reliably available. Three workers tend the crops and another three sell them from a brightly painted stall. Key to the operation is something once unheard of in Cuba: 80 percent of the profits go straight to the workers’ pockets, providing them an average of 1,500 pesos (US$71) a month. Customers say the farm has given them not only access to affordable food, but also a radical change in their cuisine. Source: Peter M. Rosset is co-director of Food First/The Institute for Food and Development Policy . He has a Ph.D. in agricultural ecology and teaches at Stanford University. When trade collapsed with the socialist bloc in late 1989 and 1990, the degree to which Cuba relied on monocrop agriculture proved to be a major weakness for the country. Searching for the most efficient solution, the Cuban government launched a national effort to convert the nation’s agricultural sector from high input agriculture to low input, self-reliant farming practices on an unprecedented scale. By mid-1995 the food shortage had been overcome, and the vast majority of the population no longer faced drastic reductions of their basic food supply. In the 1996-97 growing season Cuba recorded its highest-ever production levels for ten of the thirteen basic food items in the Cuban diet. The Cuban experience illustrates that we can feed a nation’s population well with a small or medium-sized farm model based on appropriate ecological technology, and in doing so we can become more self-reliant in food production. Even before the revolution, individual peasant producers were a small part of the agricultural scene. The rural economy was dominated by export plantations, and the population as a whole was highly urbanized. The state farm sector and a substantial portion of the cooperatives were highly modernized, with large areas of monocrops worked under heavy mechanization, fertilizer and pesticide use, and large-scale irrigation. This style of farming, originally copied from the advanced capitalist countries by the Soviet Union, was highly dependent on imports of machinery, petroleum, and chemicals. When trade collapsed with the socialist bloc, the degree to which Cuba relied on monocrop agriculture proved to be a major weakness of the revolution. Suddenly, a country with an agricultural sector technologically similar to California’s found itself almost without chemical inputs, with sharply reduced access to fuel and irrigation, and with a collapse in food imports. In response to this crisis the Cuban government launched a national effort to convert the nation’s agricultural sector from high input agriculture to low input, self-reliant farming practices on an unprecedented scale. Because of the drastically reduced availability of chemical inputs, the state hurried to replace them with locally produced, and in most cases biological, substitutes. This has meant biopesticides (microbial products) and natural enemies to combat insect pests, resistant plant varieties, crop rotations and microbial antagonists to combat plant pathogens, and better rotations, and cover cropping to suppress weeds. Synthetic fertilizers have been replaced by biofertilizers, earthworms, compost, other organic fertilizers, natural rock phosphate, animal and green manures, and the integration of grazing animals. In place of tractors, for which fuel, tyres, and spare parts were largely unavailable, there has been a sweeping return to animal traction. Gradually the national ox herd was built up to provide animal traction as a substitute for tractors, and the production of biopesticides and biofertilizers was rapidly stepped up. Finally, a series of methods like vermicomposting (earthworm composting) of residues and green manuring became widespread production above previous levels. How can we explain the difference between the state- and small-farm sectors? It really was not all that difficult for the small farm sector to effectively produce with fewer inputs. After all, today’s small farmers are the descendants of generations of small farmers, with long family and community traditions of low-input production. They basically did two things: remembered the old techniques—like intercropping and manuring—that their parents and grandparents had used before the advent of modern chemicals, and simultaneously incorporated new biopesticides and biofertilizers into their production practices. This system made small work teams directly responsible for all aspects of production in a given parcel of land, allowing remuneration to be directly linked to productivity. In agroecological farming, whoever manages the farm must be intimately familiar with the ecological heterogeneity of each individual patch of soil. The farmer must know, for example, where organic matter needs to be added, and where pest and natural enemy refuges and entry points are. In the 1996-97 growing season Cuba recorded its highest-ever production levels for ten of the thirteen basic food items in the Cuban diet. The production increases came primarily from small farms, and in the case of eggs and pork, from booming backyard production. The proliferation of urban farmers who produce fresh produce has also been extremely important to the Cuban food supply. To what extent can we see the outlines of an alternative food system paradigm in this Cuban experience? Or is Cuba just such a unique case in every way that we cannot generalize its experiences into lessons for other countries? We hear that a country can’t feed its people without synthetic farm chemicals, yet Cuba is virtually doing so. We are told that we need the efficiency of large-scale corporate or state farms in order to produce enough food, yet we find small farmers and gardeners in the vanguard of Cuba’s recovery from a food crisis. In fact, in the absence of subsidized machines and imported chemicals, small farms are more efficient than very large production units. We hear time and again that international food aid is the answer to food shortages—yet Cuba has found an alternative in local production. • Agroecological technology instead of chemicals: Cuba has used intercropping, locally produced biopesticdes, compost, and other alternatives to synthetic pesticides and fertilizers. • Fair Prices for Farmers: Cuban farmers stepped up production in response to higher crop prices. Farmers everywhere lack incentive to produce when prices are kept artificially low, as they often are. Yet when given an incentive, they produce, regardless of the conditions under which that production must take place. • Greater Emphasis on Local Production: People should not have to depend on the vagaries of prices in the world economy, long distance transportation, and super power “goodwill” for their next meal. Locally and regionally produced food offers greater security, as well as synergistic linkages to promote local economic development. Furthermore such production is more ecologically sound, as the energy spent on international transport is wasteful and environmentally unsustainable. By promoting urban farming, cities and their surrounding areas can be made virtually self-sufficient in perishable foods, be beautified, and have greater employment opportunities. Cuba gives us a hint of the underexploited potential of urban farming. Relatively small-scale farming, even using animals for traction, can be very productive per unit of land, given technical support. And it is next to impossible to have ecologically sound farming at an extremely large scale. The Cuban experience illustrates that we can feed a nation’s population well a farm model based on appropriate ecological technology, and in doing so we can become more self-reliant in food production. Farmers must receive higher returns for their produce, and when they do they will be encouraged to produce. The important lessons from Cuba that we can apply elsewhere, then, are agroecology, fair prices, land reform, and local production. This is our six acre farm in Lusangazi, purchased in December 2007. Our plan is to use it to produce open pollinated seeds for distribution to our villagers. We already produce fruit tree seedlings. The fruits are Mango, Paw paw, Avacado, Lemons, Tangerine, Oranges, Apples and Pears. The latter two are very experimental having brought the root stock and scion wood fron Irish Seedsavers in Scariff, County Clare. We have a big push on Lemons as they give us great root stock on which we grow improved varieties of lemon, tangerine and orange. The propagation is by budding and our, man on the job, Binna is a real expert. 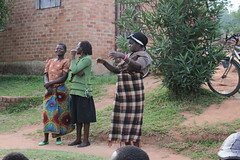 We have recently moved into the area of HIV / Aids using small community support as our approach. We bring people, who have disclosed their problem and are getting on with their lives, from an area where the approach is developed to speak to and assist newer groups. It may not be altogether novel, but it works for us. We then add a community garden to improve diet and that’s where the fruit comes in. Looks like the ARV drugs are seriously more effective when combined with a balanced diet: the vegetables help the diet with the vitamins coming from the fruit. This program comes as a byproduct of our other work in villages. The project in Lusangazi is run by paid workers. From a standing start, I am amazed at how much they have all learned in the nine months. They are now organised and have got into planning. They record and research and things will only get better. The picture shows sweer potato, coliflower, cabbage, peas, beans, strawberries and broccoli. The newer areas have about twenty varieties of vegetable under scrutiny, with the objective of multiplying our seed numbers. This new village could be one to watch. An all Malawi project! These two girls, mothers in their late teens begin a huge task. They and 19 others have been given this land, by their chief to sow some green maize, which hopefully will get them through the hungry period without starvation. If someone offered me this I might respectfully suggest that he might farm it himself, but these two are delighted with the prospect of their own plot. It looks terrible but can have water if everyone gets together to build a dam. We have offered seed and the dreaded fertilizer to start them off, stressing that the fertilizer is a once off, but only in preference to feeding them for another winter. 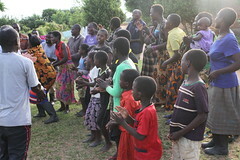 We returned home on Wednesday last Sept 3 after our latest 6 week adventure in Malawi. Besides all our projects, we had the new experience of volunteers, on a large scale. We had two groups from Blackrock College, Dublin totaling 44 Post Leaving Cert students and 22 parents, some returning DIT Students, back for more punishment and a few of the usual suspects, 73 in total; and making a contribution to the Malawian economy and each in their own way having a significant impact on the lives of the people they met and worked with. All we asked is that they should all make a move towards the people they met and in the process try to inspire, educate and challenge, wherever possible. I would rate this process as a complete success. A connection was made and the learning and understanding process needed to be seen to be believed. ( a look at the pictures on http://www.flickr.com/photos/wellsforzoe/ will give some indication of the relationships which developed. My big worry during all this activity was that we, as an organization, might get distracted and lose some focus on our primary objectives, but after checking with our staff in Mzuzu and checking on the results of a survey we asked our volunteers to fill out, I feel that we kept our focus throughout while adding so much to our programme. How does one reflect on 6 weeks of unbelievable action and emotion? We had sports days, football, netball, education, school building, knitting and singing. 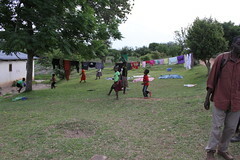 We dug a well, built two fishponds, visited orphan care centres, initiated a home based care for HIV sufferers, built a school garden, built a state of the art tennis clay court, had fun, and made lots of new friends. It was magical, moving, thought provoking, inspiring and exhausting all at the same time. In the few days since the dust has settled, a little analysis has revealed mixed messages on many projects. The site for the pump factory has been prepared for the arrival of the containers, with the machinery, the electricity supply arranged but not in place yet, the crew arrive on September 24 and I have everything crossed that all will be in place. Assurances in Malawi are always a bit dodgy!! The seed farm in Lusangazi is turning in to a wonderland of growth and research. Binna in the propagation is now budding his lemon rootstock with oranges and tangerines. They have a new well and a large fishpond. We have planned a building for a nursery school for staff children and others. Our hope is that young mothers will come, learn to read with their children and maybe learn something of horticulture, bringing home seeds and seedlings to try out. It is a great centre of hope and optimism. We are constantly trying to improve our work in villages. We have a number of approaches, which we amend, tweek and analyse. We have the voluntary co operative approach, which needs very close management and hand holding, as people lose their focus easily. We have a new area, Kasando, where the chief has given each household a plot of their own, at the request of the women, but I feel we will have to build the dam and do a lot of hand holding, with this very backward community. We also try direct labour contract work and versions of all of these with modifications. I feel individual land ownership would be a great help. We are not prepared to wait for the five year plan, after keen analysis we need to act quickly and plan for a better solution which people will work with. If they are not with you, you are wasting your time. Somewhere in everything we try, are amazing success stories and huge disappointments, but years of hunger seems to have convinced people that hunger in inevitable. Taking care of every minute detail seems to have great merit. The availability of aid and handouts over the years has taught many to rely on the white jeep rather than their own ability. Self motivation is a rare attribute. Leadership is often non existent. Men and boys continue to disappoint. Women are the real hope, but they’re often overburdened with chores, pregnant, sick, under nourished or all four. Poorly paid and trained primary teachers, overcrowded and under equipped primary schools mean that the quality of appropriate education leaves a lot to be desired. 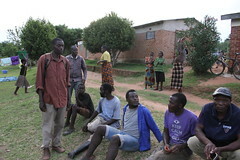 Education on gardening and farming are academic only, even though the new curriculum looks great, all talk but no action is often the norm in Malawi, so our promotion of school gardens is most appropriate. Today in Mzuzu maize costs 80 kw per kilo compared to 20 kw per kilo this time last year, while chemical fertilizer has moved from 4200 kw to 11000kw per 50 kg bag. We continue with our promotion of compost making and our latest experiments are with green manure. The conversion is hard when every expert and vested interest is on for a new green revolution which Africa rejected the first time around and few bothered with plan B!